Mullah Mohammed Omar has been dead since 2013, but the group kept a facade to attract more terrorists in the face of NATO forces. The Taliban has admitted publicly for the first time that they covered up leader Mullah Mohammed Omar's death for over two years, in order to keep their ranks. On Monday, a new biography was posted in five languages online about the new Taliban chief, Mullah Akhtar Mansour, in an apparent attempt to unite discord within the terror group. In that text, the group admitted to covering up Omar's death since April 2013. Afghan intelligence had previously stated in July that the Taliban cover-up had been in effect for 2-3 years, but could not confirm exactly when the archterrorist died. 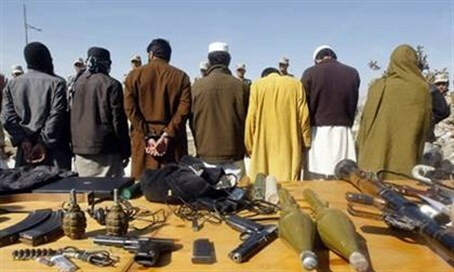 "Several key members of the supreme leading council of the Islamic Emirate (Taliban) and authentic religious scholars together decided on concealing the tragic news of passing away of (Omar)... and keep this secret limited to the very few colleagues who were already informed of this incorrigible loss," the biography stated, according to an AFP translation. "One of the main reasons behind this decision was... that 2013 was considered the final year of power testing between the mujahideen and foreign invaders who... had announced that at the end of 2014, all military operations by foreign troops would be concluded," they said, apparently referring to the North Atlantic Treaty Organization (NATO). NATO pulled out the majority of its troops from Afghanistan in December 2014.